Major tonal overhaul and comprehensive revoicing including installation of ten new ranks. 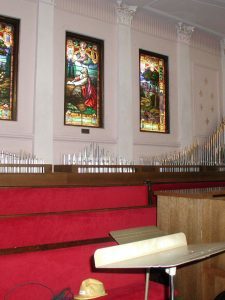 The organ that has been relocated to St. Timothy’s Church was first installed in First Baptist Church in Decatur, IL in 1967, and subsequently enlarged, by the Wicks Organ Company. 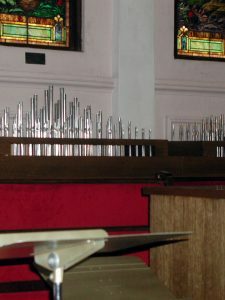 In 1997, Buzard Pipe Organ Builders completed a major tonal overhaul of the instrument, including comprehensive revoicing and the installation of 10 new ranks. 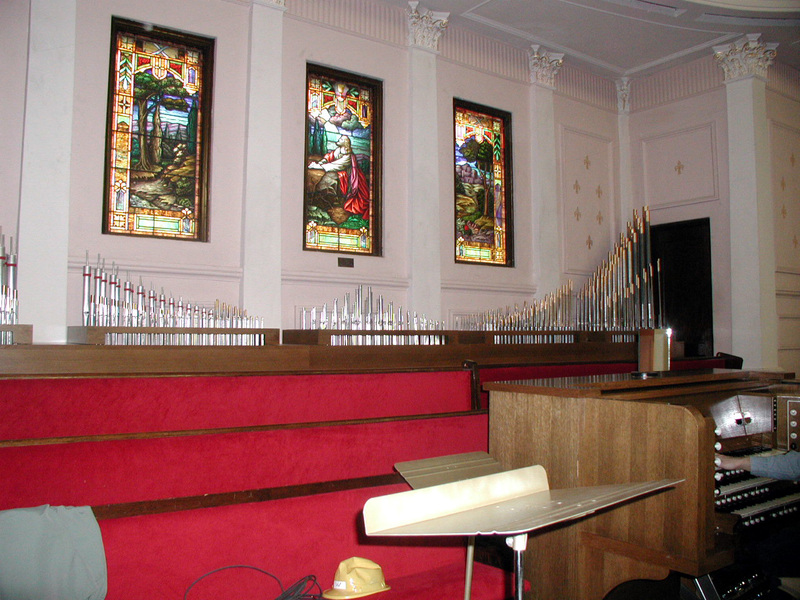 First Baptist Church decided in 2005 that its new sanctuary would not have room to accommodate a pipe organ, and the instrument was offered for sale. 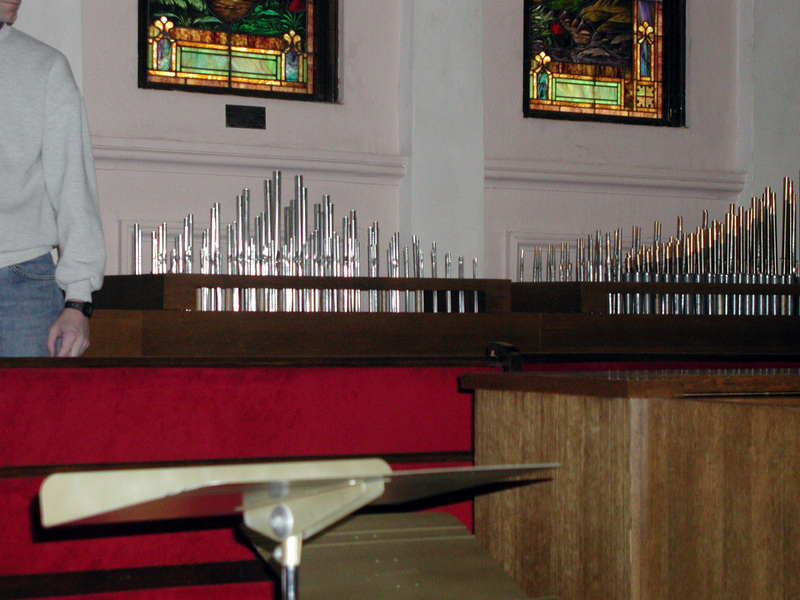 Buzard Pipe Organ Builders removed the organ to its factory, completely reconfigured the instrument, and added an 8’ manual extension to the Pedal 16’ Posaune. 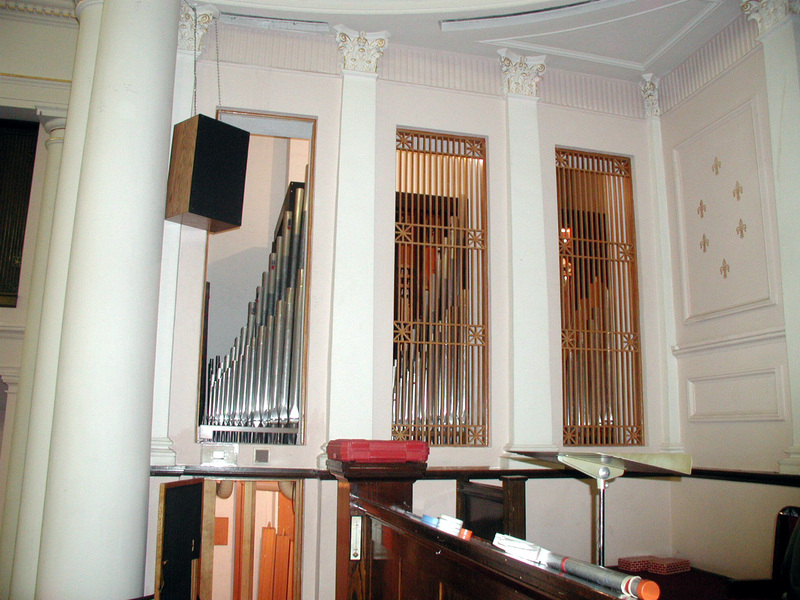 St. Timothy’s existing console was completely rebuilt, and a state-of-the-art solid state relay was installed. 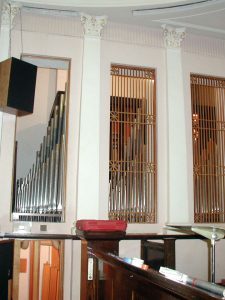 After six months’ work in the factory, the organ was installed in April 2006, with tonal finishing completed in the church to maximize the instrument’s effectiveness in its new home.